The little table tool 1 is intended to SI for placement of materials, devices and tools, to neobkhodimykhmeditsinsky personnel for work. 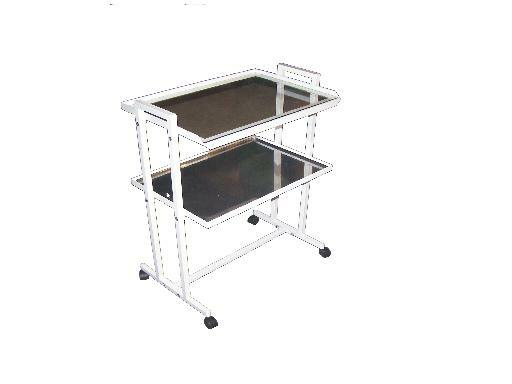 The little table tool represents the folding metal design painted by powder enamel, executed from two lateral racks to which a threaded connection two holders of shelves and the cross console fasten. 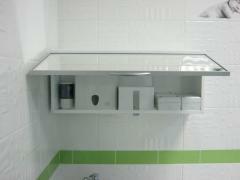 On holders the regiments made of glass or stainless steel are placed. 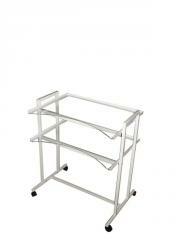 Lateral racks are established on four-rollers that gives to a design maneuverability a movement iudobstvo. - a stainless steel - a stainless steel. 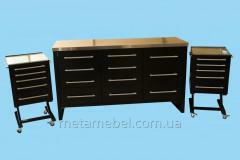 Unbelievable price on Little table tool SI 1 in Kharkov (Ukraine) company MetaMebel.